A couple of weeks after T-Mobile announced the previous update for its OnePlus 6T, another update has begun rolling out. 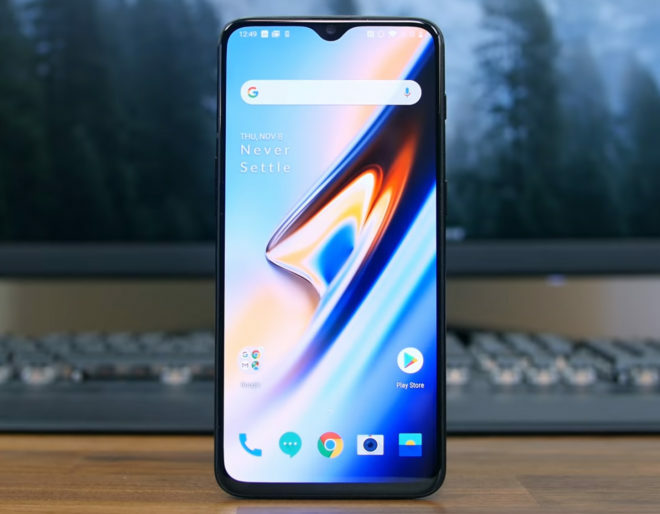 The T-Mobile OnePlus 6T is now getting an update to version A6013_34_190116. The update comes in at 103.6MB and includes the December 2018 Android security patches as well as an unspecified dialer improvement. T-Mo hasn’t yet updated its OnePlus 6T support page with info on this update, but TmoNews readers Nick and Dodger Brooklyn received the update earlier today. If you haven’t yet gotten the update on your OnePlus 6T, you can check for it manually by going into Settings > System > System update > Check for update. Once you do update your T-Mobile OnePlus 6T, be sure to let us know! Thanks, Nick and Dodger Brooklyn! I just did the update. This time the update doesn’t automatically install like the last update with roaming. It downloads the update automatically and then you scroll down to select restart. Already converted mine to International, but good news for stock T-Mobile devices, I guess. I’m looking to do the same but i am waiting cause my phone is perfectly set up after getting it couple days ago. The question is, on the TMobile version that’s converted, will the beta work with ota.. I converted and installed beta. I didn’t get the ota for the Jan 14 beta update and installed it manually. Not sure if that’s the way it will be or a one off. Beta works (using it now), but you should disable automatic updates and manually flash it using the local storage option (in settings/system/upgrade/gear icon). Good to know. Looking forward to doing this. Question, do you lose the google feed option on the left? In the stock launcher, yes. I downloaded Rootless Launcher from the Play Store (and pixel bridge, their feed app from apkmirror/github). Can hardly tell the difference. So what’s the verdict on OnePlus phones? I’m a Samsung guy but I can’t see going back it the OnePlus product stays as strong as it is even with a slight price increase. I really can’t see where I’m missing anything at this point. Seriously man. Not even worth it! What are we getting extra? Whatever it is isn’t worth $900 more. I’m curious to see how the eco system of OnePlus grows. I’m sticking with it for the next model to start. I had an s8. Really liked it. Love all the features. Left home many times with just the phone and an id because of sending pay and MST. But all these features mean nothing when the battery doesn’t last and lag is overtaking this phone. I really miss my Samsung pay but sheet trying this 6t for just a week, my goodness the difference is crazy. My battery lasts from 6am to night time without a charge and no lag. The problem with Samsung is a degradation on software. There is no such thing as ”Degredation of software”, however there is a real issue with native amazing apps / launcher working with Google . I agree with you in that the expirence is ”night and day”. Degredation, lag, slowness, stutter, whatever anyone wants to call it. I decided to go for the 1+6 instead of the 1+6T (Cheaper, has a headphone jack, faster updates directly from 1+, same processor and RAM) and I have no regrets. Fast as can be, and the battery life is amazing. I only wish the “Dash Charge” feature works with all QuickCharge 3 adapters and cables… You have to use their charger in order for it to quick charge. Besides that small gripe, it is an A+ phone that should be snatched up at a sub $500 price tag. (got mine for $429 on black Friday) instead of an $800+ Samsung with bloatware. Amazing device. Honestly the best Android phone I’ve ever owned. Using it with Microsoft Launcher + Microsoft Edge + SwiftKey actually makes things even faster and snappier. Takes me back to my super fast Windows Phone, only you know, with apps.